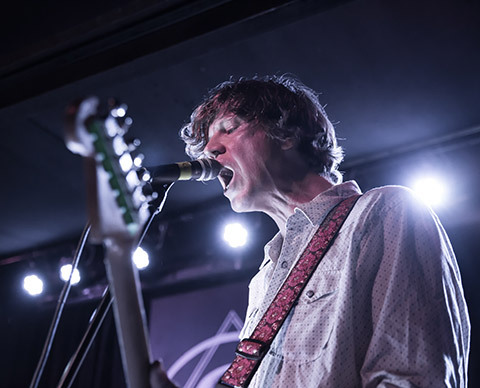 For more than three decades, Thurston Moore has been a constant in so many ways — perhaps the only excusable reason why changes in his personal life have been talked about at all in the last few years. Musically, Moore has stood above almost every one of his peers in his ability to both mine the farthest reaches of his instrument (see, for example, his recent appearances with Tony Conrad and Enemy Waves) while constructing memorable, catchy, yet-still original traditional songs. Moore’s most recent album, The Best Day, represents both impulses while leaning on the latter, abetted by a crack band that includes Steve Shelley, James Sedwards on guitar, and My Bloody Valentine’s Debbie Googe on bass. While The Best Day is technically Moore’s first solo album since 2010’s Demolished Thoughts, it may be better to think of it as a next step beyond the Chelsea Light Moving project that we saw in 2012 and 2013. The connection to Moore’s Sonic Youth output, both lyrically and musically, feels strong, but there’s also a line toward the more concise style of his 1995 solo album, Psychic Hearts. On the U.S. release date for The Best Day, this show at the metal-centric venue St. Vitus gave us the very best of all of it — energetic guitar work, deeply-explored grooves, and killer songwriting. This set covered almost the entire Best Day album, plus a couple of choice nuggets from Psychic Hearts. We had first hoped to catch the full band at Hopscotch Music Festival, but due to visa issues, that ended up being just Thurston and Shelley, doing surprisingly full renditions of these songs. Played by the band for which they were intended, these songs sprung to life, from “Speak to the Wild” and its earworm of a hook to the set closer, Psychic Hearts’ “Pretty Bad”. Many artists at Moore’s level of seniority are worried about staying relevant; the question with Moore is how much better he might get from here. Moore has made some misunderstood comments about black metal lately, making the choice of St. Vitus all the better. Watching the man and his band on stage, it’s hard to imagine anyone not being impressed. I recorded this set with Schoeps MK4V microphones and a soundboard feed of the house mix. The sound quality is outstanding, at least on par with the Chelsea Light Moving recordings from 2013. Enjoy! We have now added a complete video of the set from our friends at unARTig as well! 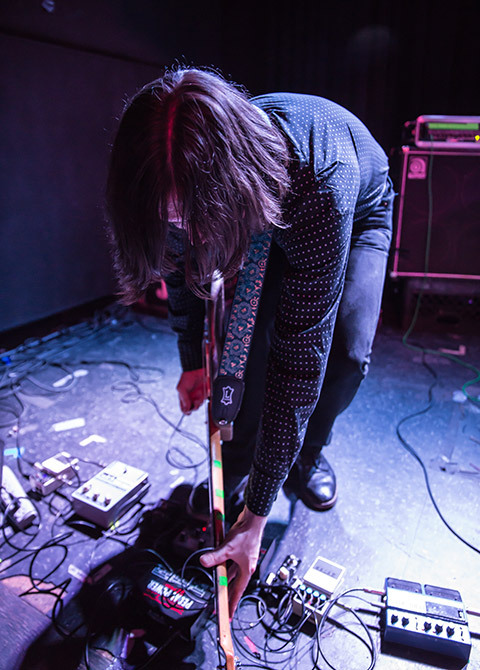 Thurston Moore plays another NYC show this Sunday at Rough Trade NYC. It appears to be sold out, but give it your best shot…. If you enjoyed this recording, PLEASE SUPPORT Thurston Moore, visit his Facebook page, and buy The Best Day directly from Matador Records. Thanks for another excellent recording. Is the other recording coming soon? According to Thurston RT was the same setlist, so we just covered the (better sounding) St. Vitus show. does this mean you didn’t get the recording or you just don’t make it available cause it’s the same setlist twice in a few days? I didn’t make the recording, because my job isn’t going to concerts; I have an actual life. It would be somewhat pointless to see the same set twice. You announced both recordings in the NYCTaper Upcoming Schedule. That’s why I asked the question and also because of your quality of recordings. Great mix, great performance by the band. The energy is palpable.